This is my version or my interpretation of the Via Dinaric Green Trail in Bosnia and Herzegovina. 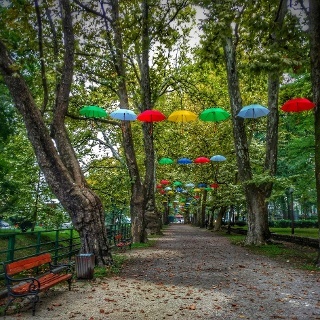 It connects many natural and cultural sights and places which hopefully will be on the future Via Dinarica Green Trail. 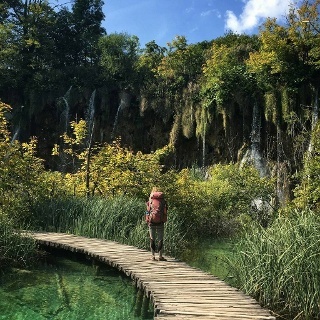 I tried to connect hiking trails, trailrun tracks, National Parks, interesting sights, natural and cultural highlights in Bosnia and Herzegovian. Some parts of the route I hiked can be done by bike as well. At the time hiked it, there wasn't much information available. I created the route along the way, tried to find the best hikable route, but there are some asphalt, macadam, dirt and forest road sections here and there. Also, there are many alternatives, I believe I could hike another month or two or three exploring. It's an real interesting region. Unlike the White Trail, the Green Trail isn't a mountain trek pur sang. It does lead you through the Dinaric Alps, but through the lower parts. It definetely is Green and absolutely stunning. Lisac and Vlašić are my favorite, LOVE those mountains! For this MY Via Dinarica Green Trail tour on Outdooractive I changed a few sections, because I found some better alternatives afterwards. I'll probably keep on improving and editting the route, suggestions and comments are more than welcome! I also uploaded the day stages seperately. Here you find the original track I hiked. Here's the complete list with day stages: EVA's Via Dinarica Green Trail. For trailnotes, updates, route reflections, stories & musings check out my blog. In case you'd like to stay in mountain huts, do call ahead, because they're usually not open unless it's weekend. If you're planning to hike this trail, do your research, because there are plenty of options to improve my route. Note that there are many straydogs in Bosnia and Herzegovina. 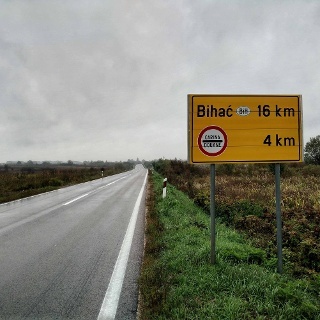 Especially near Bihać, Una NP and the bigger towns this was not a comfortable situation. I suggest to bring a dazer (NOT a taser!) to keep the dogs away without hurting them. GPS for sure, also as long as there is no official Via Dinarica Green Trail it could be good to use other navigation apps like MAPS.ME and Wikiloc as well to find the most scenic hiking route.